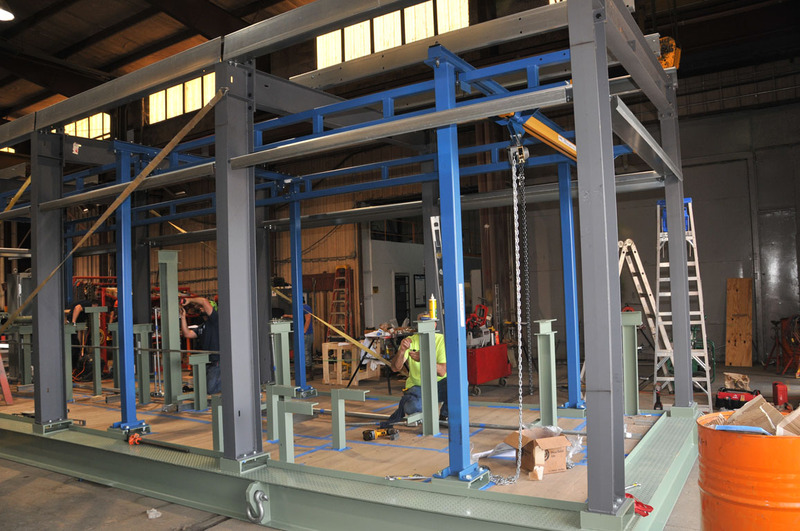 IFS recently supplied a metering skid to Tallgrass Energy in Wright, Wyoming. 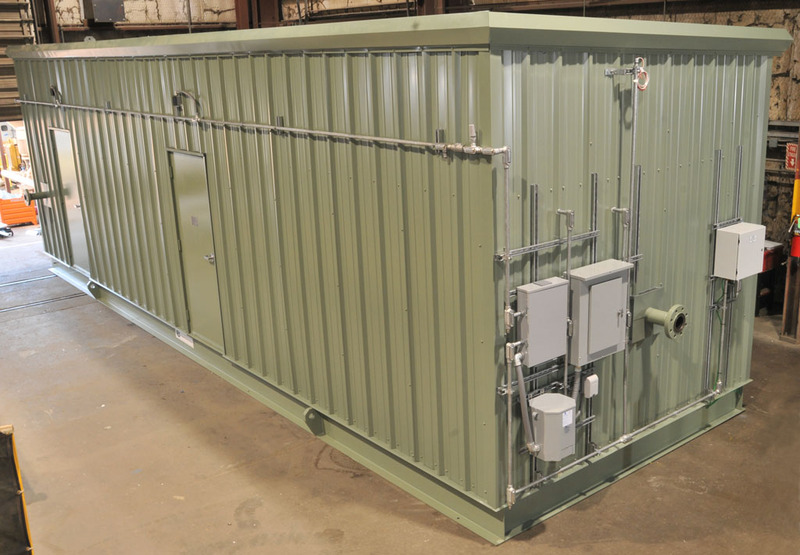 The metering package is 11’ wide by 36’ long by 12′ high with an insulated, pre-manufactured enclosure for operation in cold climates. 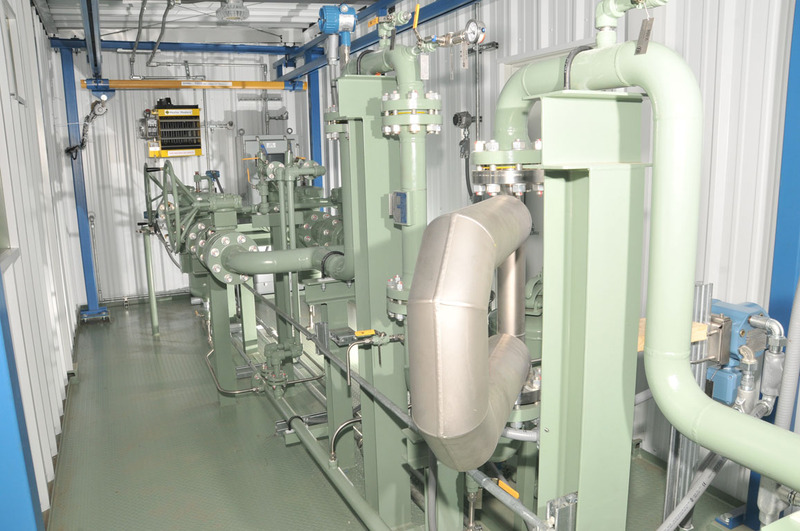 An explosion proof ROC control system acts as the brains of the metering skid system that manages Input/Output signals in addition to metering tasks, like monitoring building temperature, operating a ventilation fan, and controlling the interior climate control of the Class 1, Division 2 rated electrical interior space. This system incorporates a gas detection sensor to alert the ROC of elevated gas levels so that the explosion proof exhaust fan can evacuate gas from the interior space. For process control, the ROC receives input signals from high quality meters and transmitters, including Rosemount pressure and temperature instruments and a Micromotion flow meter, to precisely operate a Fisher back-pressure control valve for accurate flow rate measurement. 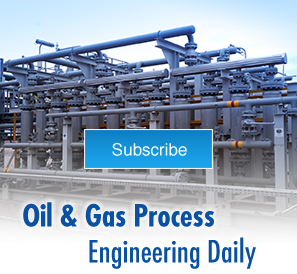 Metering of hydrocarbon flows up to 6,500 barrels per day (BPD) and pressures in excess of 500 PSIG is possible through the 4” process line and the integrated, high accuracy Coriolis flow meter. 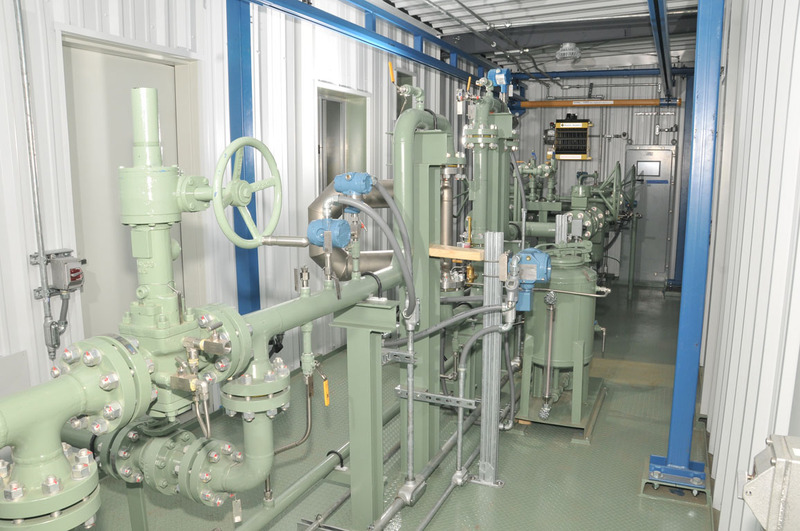 Prover connections with an intermediate double block and bleed isolation valve allow for confirmation of the flow meter accuracy by a third party service. Dual parallel basket strainers provide a means for the operator to maintain the filter system without flow interruption. Quality of the hydrocarbon product, equally as important as its flowrate, is monitored by a high accuracy, Drexelbrook water cut sensor and a medium pressure hydrocarbon sampler system that is adjustable for the specific sampling rate as a function of the process flow rate. The sampler system incorporates a sample port as well as a 15-gallon sample pot with integral mixer device. From the control features that include automatic operation of safety equipment based on interior conditions and activation of alarms during out-of-limit conditions, to the physical design attributes, integrated safety features permeate through the entire metering skid design. Accessibility, clearances, and hazardous areas throughout and around the metering skid enclosure meet OSHA and NEC regulations. For operator safety during maintenance of the system, an integral drain system with a sump helps contain and minimize the loss of hydrocarbon product. The safety system is complete with a bridge crane that runs the entire length of the interior space and has a load capacity in excess of any single component to ensure that the operator can carefully move equipment to one of three door locations for exterior maintenance. If you would like more information on IFS’s Production Storage & Measurement Products, please go to our O&G Midstream Services page.